Tens of thousands may lose jobs if the White House follows through on threat. The Trump administration may soon end the H-4 Visa Rule, which allows spouses of H1-B visa holders to work in the United States, according to a new report. 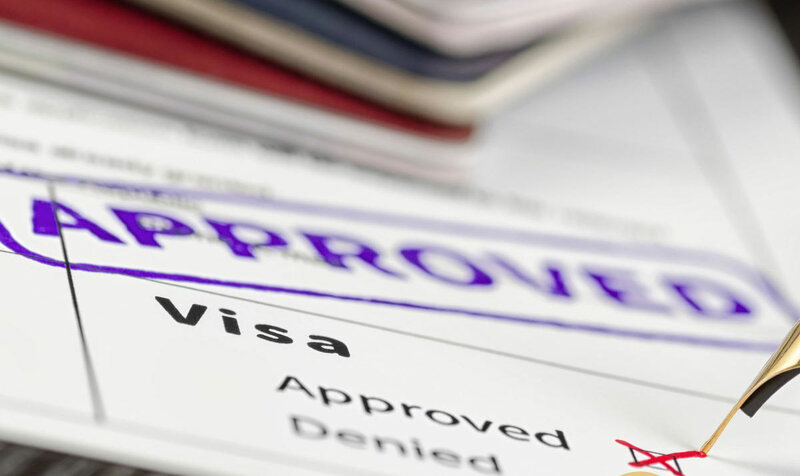 The McClatchy DC Bureau reported that the government could end the visa program “as soon as February” leaving tens of thousands of spouses of H-1B visa holders jobless. The rule introduced by the Obama administration in 2015 allows a limited subset of H-4 dependent spouses of H-1B workers employment authorization eligibility when they seek lawful permanent resident status. In December last year, the Department of Homeland Security stated that it intended to end the rule as part of President Trump’s “Buy American, Hire American” policy. “The agency is considering a number of policy and regulatory changes” to carry out the executive order, Joanne Talbot, a spokeswoman for Homeland Security told McClatchy. Thousands of Indian and Chinese nationals could lose their job if the administration pulls the plug on the H4 employment authorization documents. The H-1B visa is issued for a period of three years with an option to extend it for further three years. The visa holders, especially from India and China, usually have to more than a decade to get their green approved. The H4 EAD allows their spouse to work while the green card is pending. More than 104,000 work permits have been distributed to spouses of H-1B holders since the implementation of the program in 2015. However, critics argue that the Obama administration didn’t have the right to make such a rule allowing spouses to work in the country. “Add up all these admissions of foreign labor, it starts adding up. It’s huge. It’s supposed to be a guest worker program, but your wife can work anywhere? It’s completely nonsensical,” John Miano, an attorney who represents a group of American workers in the case challenging the rule, told McClatchy. A number of groups are protesting against the government’s decision. In western Wake County, more than 200 people, mostly women, approached members of Congress seeking their support. A group of women has met Rep. David Price, a North Carolina Democrat, in Durham last week to gain support for fighting the policy change. “The 2015 change needs to be preserved. We want to do everything we can to head off a change in that,” Price was quoted as saying by Mc Clatchy. “If you’re just saying to them that they’re going to be relegated to simply staying at home no matter what the family situation is, no matter what their needs are, that’s going to make the situation for that family more difficult and for the visa holders more difficult,” he added. Earlier this month, a coalition of business and tech advocacy groups representing giants such as Apple, Microsoft, and Google urged the Trump administration to continue the H-4 Visa Rule. The coalition argued that the termination of the visa program would cause a huge loss of skilled labor as the employees would choose opportunities in other countries that allow their spouse to work, the tech companies argue. The disruptions associated with filling key positions coupled with increased cost would adversely affect business and economy. There is No rational for wives of Indians or Chinese spouses on H1b vises be allowed to work in STEM positions in the US. It’s reminiscent of chain migration of illegal immigrant relatives that accounts for 70 per cent of illegal immigrants in the US!!! It’s the same stupid loophole as wives of Indians and Chinese on H1b vises allowed to work on STEM jobs taking them from capable American STEM employees! Shut this loophole down ASAP!!! These are spouses of only those H1B applicants whose Green Card I-140 applications have been approved. They will legally become legal citizens when they get the Green Card in 30-40 years. Why keep them unemployed? Where is the question of chain immigration? What is the loop hole?